Fleurbaix is a village 5 kilometres south-west of Armentieres on the D22. 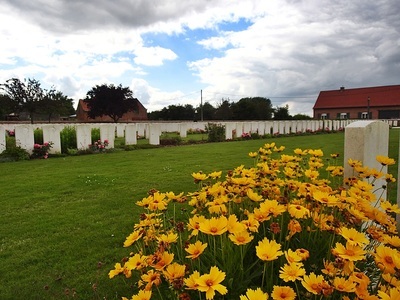 Rue-Petillon Military Cemetery will be found by taking the D175 from Fleurbaix towards Fauquissart, then the D171 towards Petillon. 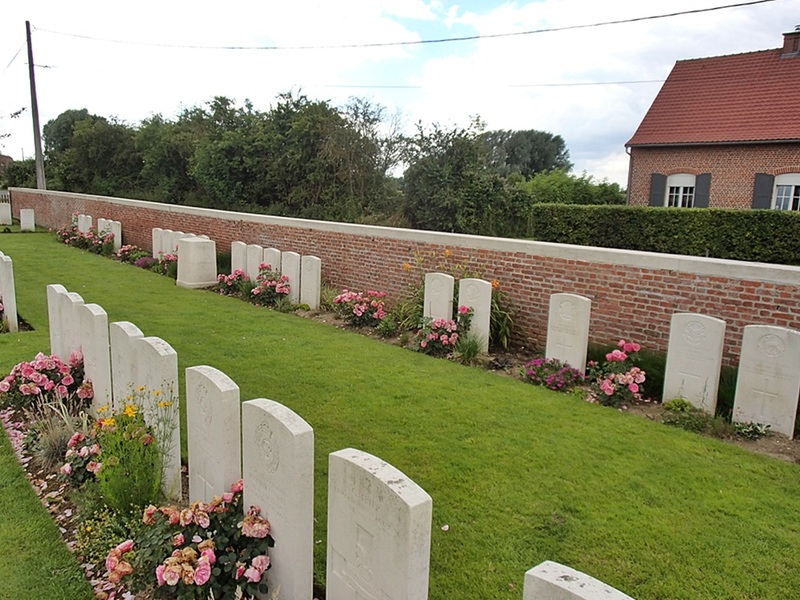 The cemetery is on the south side of the road from Petillon to La Boutillerie. 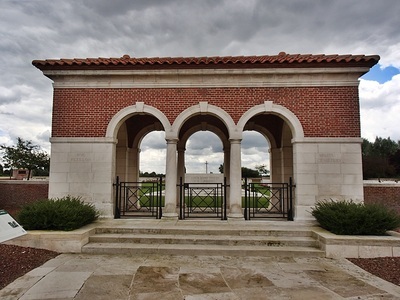 British soldiers began burying their fallen comrades at Rue Pétillon in December 1914 and the cemetery was used by fighting units until it fell into German hands during the Spring Offensive of 1918. 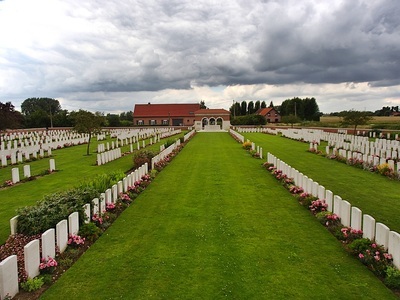 The Allies recaptured this sector of the front in September 1918 and when the war ended in November the cemetery was the site of twelve Battalion burial grounds. 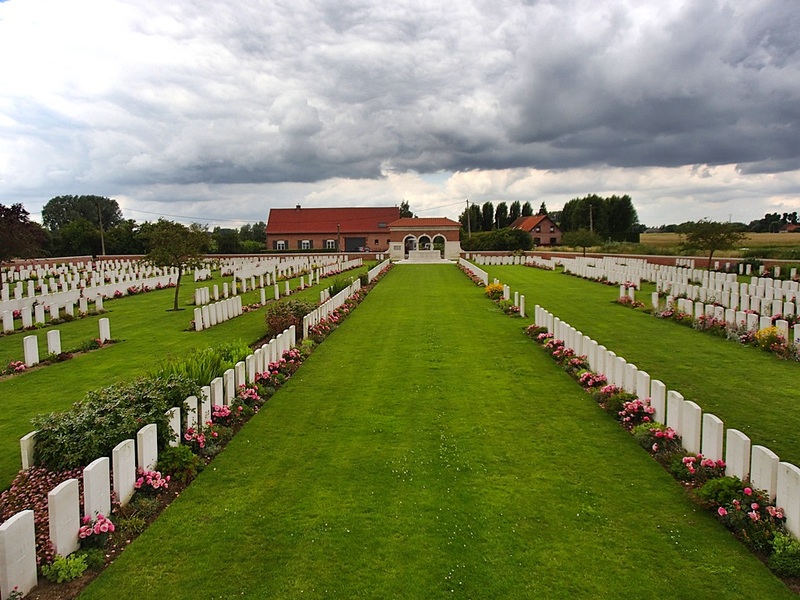 Many of those laid to rest here had died of wounds in a dressing station that was located in the buildings adjoining the cemetery, which were known as ‘Eaton Hall’ during the war. The cemetery was enlarged in the years after the Armistice when graves were concentrated here from the battlefields around Fleurbaix and a number of smaller burial grounds. 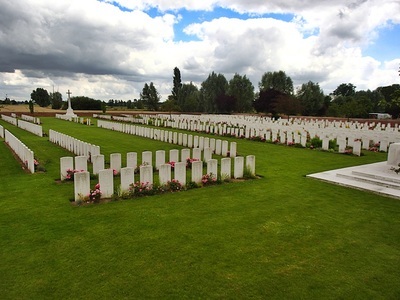 A whole range of different Commonwealth units served in this sector during the war and the cemetery contains the graves of British, Irish, Canadian, New Zealand, and Indian soldiers, as well as over 260 men who were killed while serving with the Australian Imperial Force. 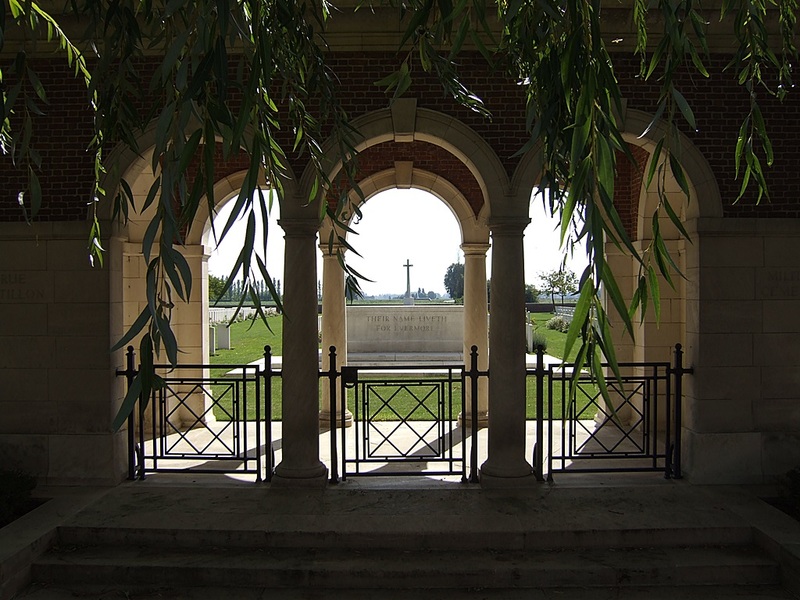 Today over 1,500 war dead of the First World War are buried or commemorated here. Units of the Australian Imperial Force (AIF) began arriving at the great southern port of Marseille at the end of March 1916. 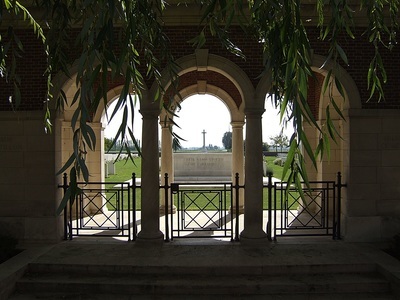 From there, they were transported north and, having spent a brief period in the region of Hazebrouck, were posted to the front-line trenches south of Armentières at the beginning of April. Many of these Australian soldiers had survived tough conditions and fierce fighting during the ill-fated Gallipoli campaign of 1915, but none of them had experienced combat on the Western Front. One of their first encounters with the German forces occurred on the evening of 5 May 1916, when units of the 6th Bavarian reserve regiment raided the Australian trenches south west of Fleurbaix around Le Bridoux. After a withering artillery and mortar bombardment that caused dozens of casualties, German soldiers entered the Australian positions and captured a small number of prisoners before retiring to their own lines. For the next number of weeks, activity along this sector of the front increased as German and Australian artillery units regularly exchanged fire and German snipers claimed a steady toll of casualties. 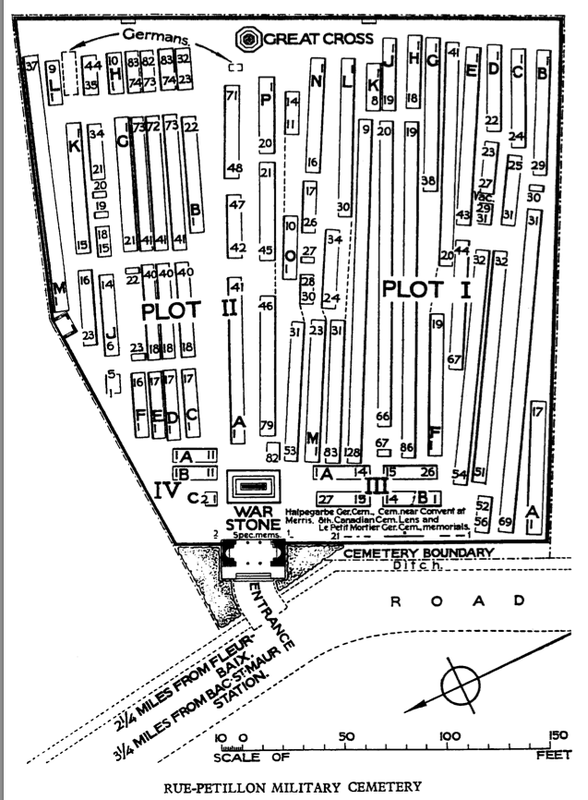 On 30 May, the Germans staged another raid, this time attacking a salient held by the 11th Battalion AIF at Cordonnerie Farm. British and Australian miners had been tunnelling in this part of the line, and the objective of the German raid was to identify the Commonwealth regiments in the area and destroy mine shafts. At 8.15 in the evening, the Germans unleashed a devastating bombardment of artillery shells and heavy trench mortar bombs. This intense fire continued for over an hour and twenty minutes and completely destroyed the flimsy breastworks behind which the Australian troops were sheltering. Despite the noise and thick clouds of shell smoke, the men of the 11th rallied well and began firing Lewis gun rounds toward the German troops who started advancing across no man’s land just after 9.00 pm. The raiders managed to enter the Australian positions and capture a handful of prisoners, but were forced to retreat before they could inflict further damage. The lengthy bombardment that accompanied the raid on 30 May caused over 100 Australian casualties, over 40 of whom were killed. Many of those killed during the raid were buried at Rue Pétillon, which is also the final resting placing of over 100 Australian soldiers killed at the Battle of Fromelles on 19 July 1916. Casualty Details: UK 1136, Canada 55, Australia 292, New Zealand 24, India 1, Germany 12, Total Burials: 1520. 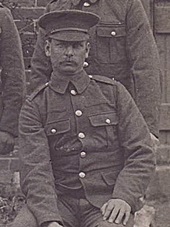 205139 Private James William Sword, 9th Bn. Norfolk Regiment 1st August 1917, aged 23 . Son of James William Sword of Norwich, Norfolk. Albert’s parents lived on Finedon Road, Irthlingborough Northamptonshire and moved temporarily to Kidderminster, Worcestershire where he was born in July 1878, returning to Irthlingborough soon after. He married Martha Ann Allen, of Irthlingborough on 9th October 1898. Albert was an ironstone worker. He was a tall man with a bright and cheery manner. A staunch member of The Salvation Army Corps, he was said to be “regular & devotional in his duties”. He left 4 children, Fred, George, Albert (known as Mac) and Violet. 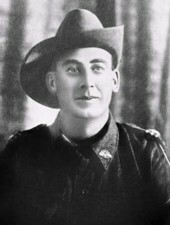 Fred enlisted in 1917 and won the Military Medal for bravery under fire. 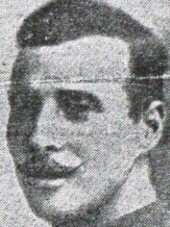 Albert had only been in France for one month when he was killed on Monday, 9th July 1915. 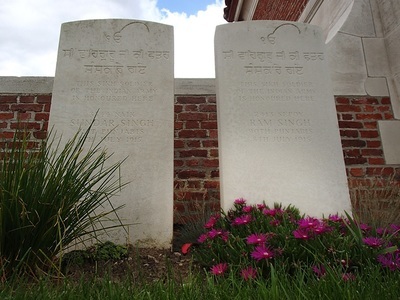 He was buried at Rue-Petillon, Military Cemetery, Fleurbaix, Pas de Calais, France. Martha received a letter from him two days after being informed of his death and travelled to France in the early 1920’s to visit his original grave. 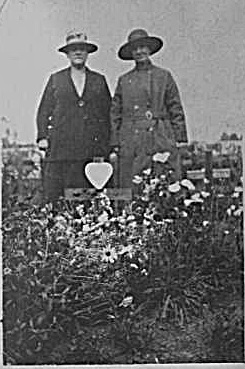 Albert's wife, Martha and companion at his grave in the early 1920's. 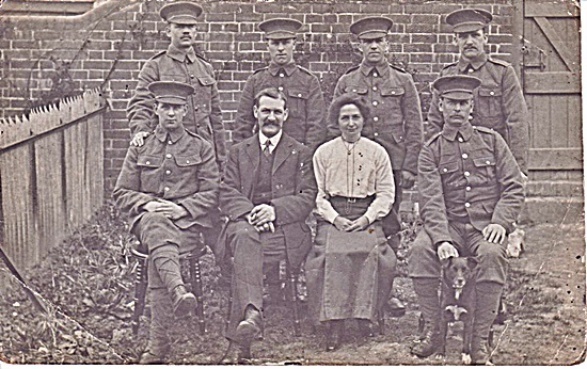 A group photograph, Albert is bottom right holding the dog. Click on picture to enlarge. 16th February 1915, aged 23. Son of Charles and Sarah Jane Smith, of 17, Forshaw Avenue, St. Annes, Lytham; husband of Rhoda Smith, of 16, Kirkgate, Burnley, Lancs. Born in Burnley. Killed in action, February 16th 1915 in his 23rd year. A loving husband and Daddy, None breathed more true and kind, But tis sweet to know we meet again, Where parting is no more, And that our loved one has only gone before, So sad, but so true, we cannot tell why, The best are the first who are called to die, God took him home, it was his will, But in our hearts he liveth still. 25 Brunswick St, Burnley. 59th Bn. Australian Infantry. A. I. F.
Son of John Robert and Catherine Sydes, of Great Baddow, Chelmsford, England. Born at Great Waltham, Essex. Born in Chelmsford, Essex, December 6th 1885. Member of 10th Battalion Middlesex Regt. 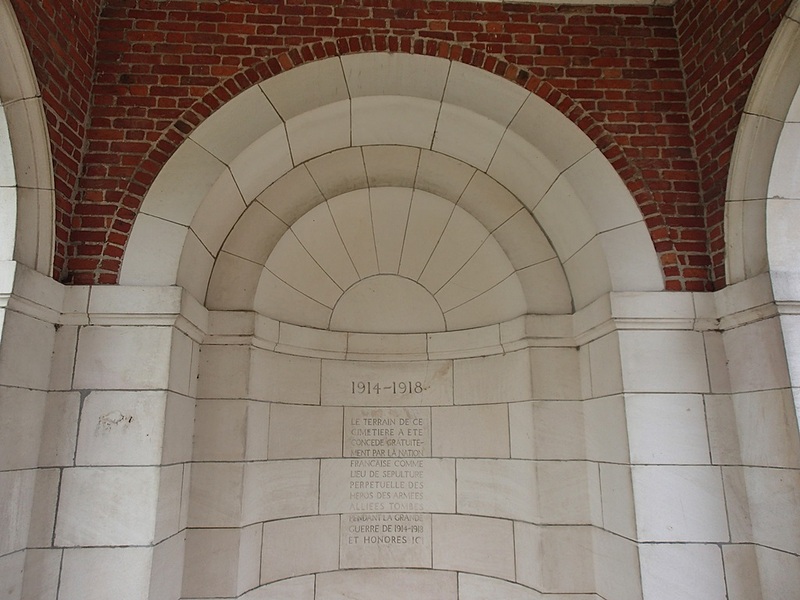 British Territorials, he migrated to Australia working as a School Teacher and enlisted in the A. I. F. at Melbourne on 17th July 1915, joined the 8th Battalion before transferring to the 59th Battalion. Embarked on "Kinfauns Castle" from Alexandria 18/6/16 to Marseilles, arriving 29/6/16. 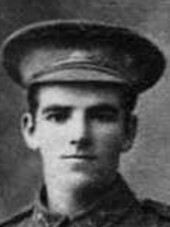 Died in Battle of Fromelles July 19th 1916. 32nd Bn. Australian Infantry. A. I. F.
19th July 1916, aged 24. Son of Frederick and Jane Webber, of Nairne, South Australia.